Quick question: does this ap support Bluetooth microphone recording and headset playback? No, we do not support that internally. However, you can download free apps like BTmono that makes a bluetooth device act as an internal microphone. I had withheld purchasing this app because it lacked auto upload to the cloud. Nice to see that this was added for Dropbox customers. Is a similar feature planned for Box.com or Microsoft’s OneDrive? Box.com focuses on businesses, and for example, in the company that I work, that is the only authorized file sharing service allowed. 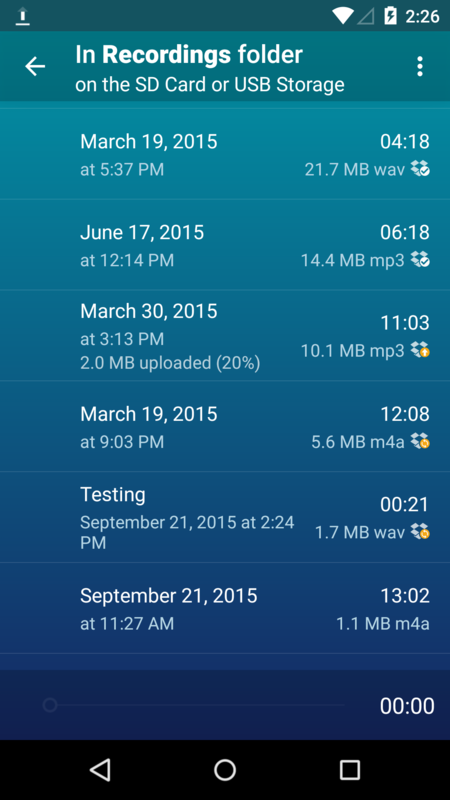 I could be fired by uploaded meeting recordings to Dropbox. Similarly, a healthcare provider that I support has a signed HIPAA Business Associate Confidentiality Agreement with Microsoft and can only use OneDrive. Using Dropbox would be literally illegal for them. On a second question, will this function work for securing evidence in situations were you loose control of your phone? If a hostile person destroys my phone while I’m recording, nothing will be uploaded, right? 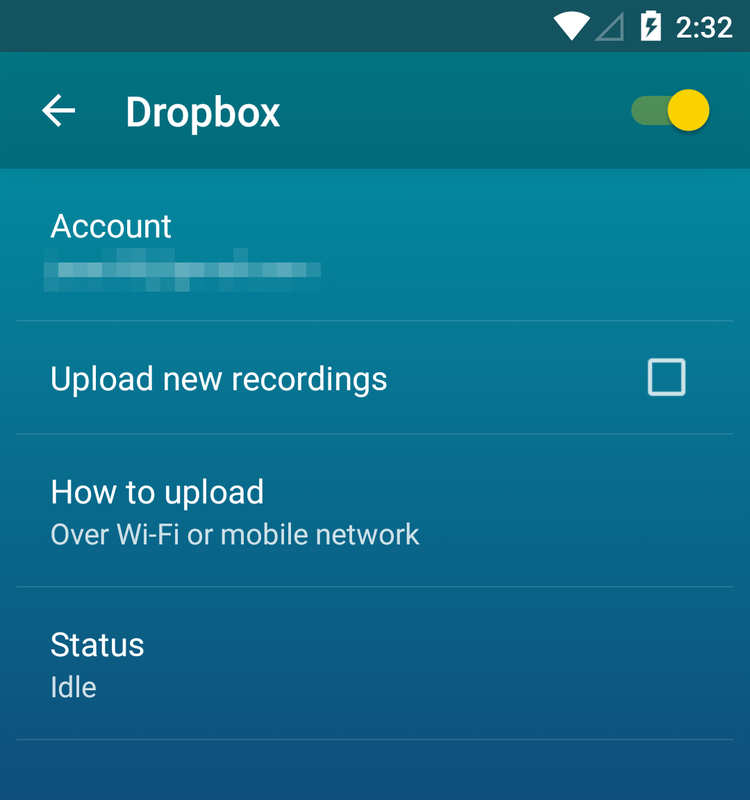 It would be great to have an upload-as-you-record mode where instead of uploading a single file the app creates a folder an saves audio in N seconds files (5 seconds for be OK). Then the only that you will loose is the last N seconds, as everything else is already uploaded. 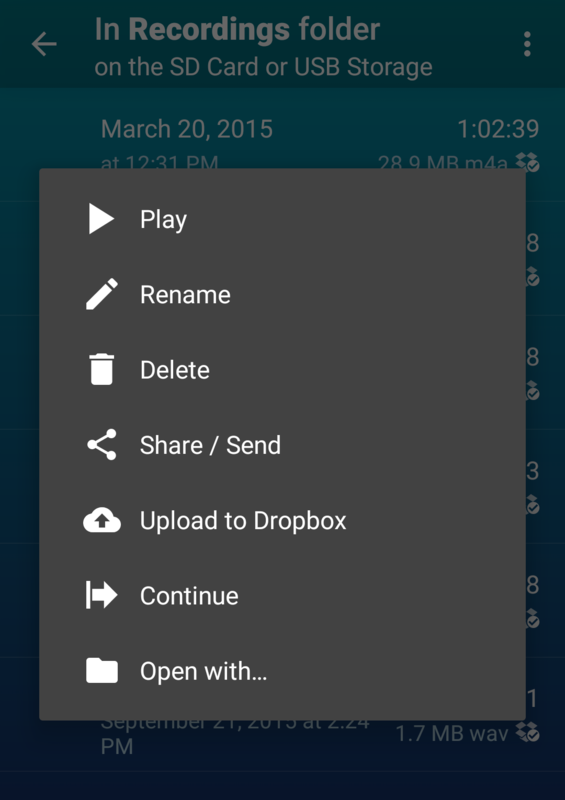 Of course, the app would need to provide a method of stitching those files into a single one later, so that you can share a dive file with other people.